We have a long way to go. 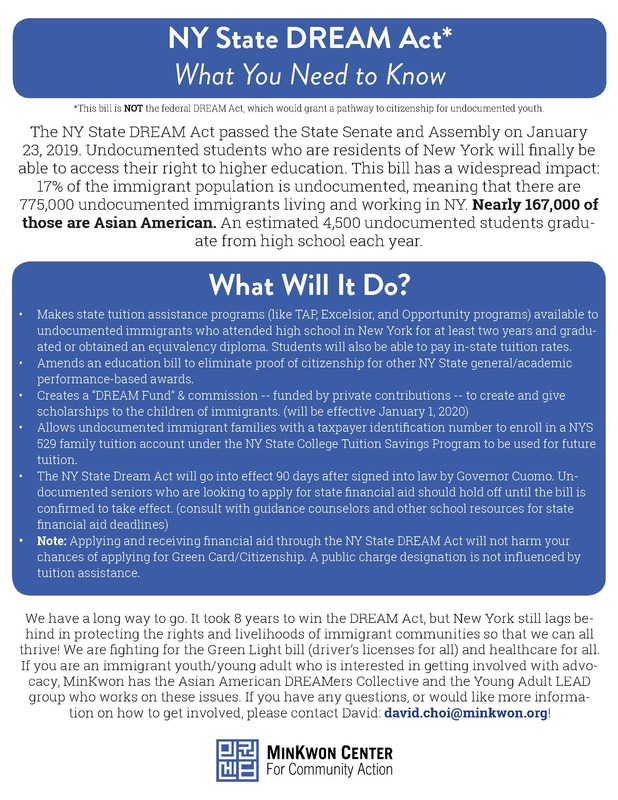 It took 8 years to win the DREAM Act, but New York still lags behind in protecting the rights and livelihoods of immigrant communities so that we can all thrive! We are fighting for the Green Light bill (driver's licenses for all) and healthcare for all. 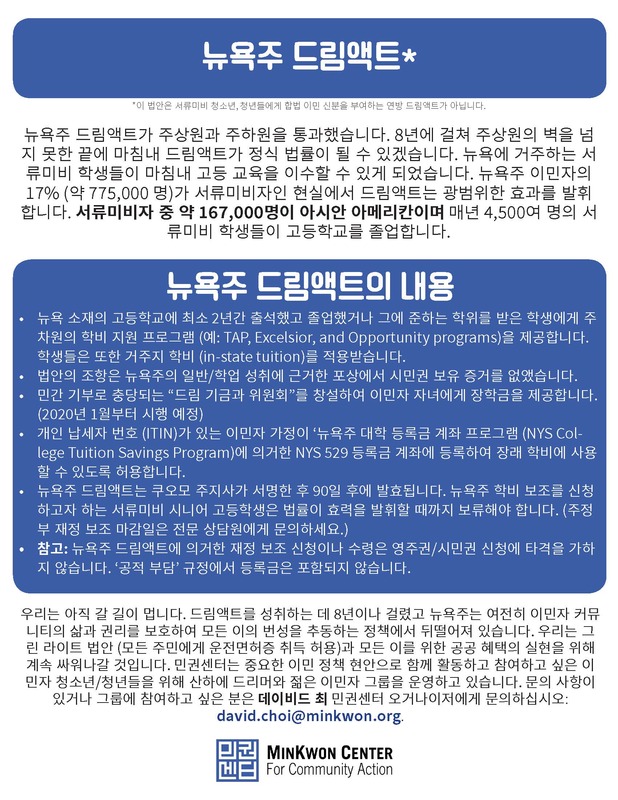 If you are an immigrant youth/young adult who is interested in getting involved with advocacy, MinKwon has the Asian American DREAMers Collective and the Young Adult LEAD group who works on these issues. 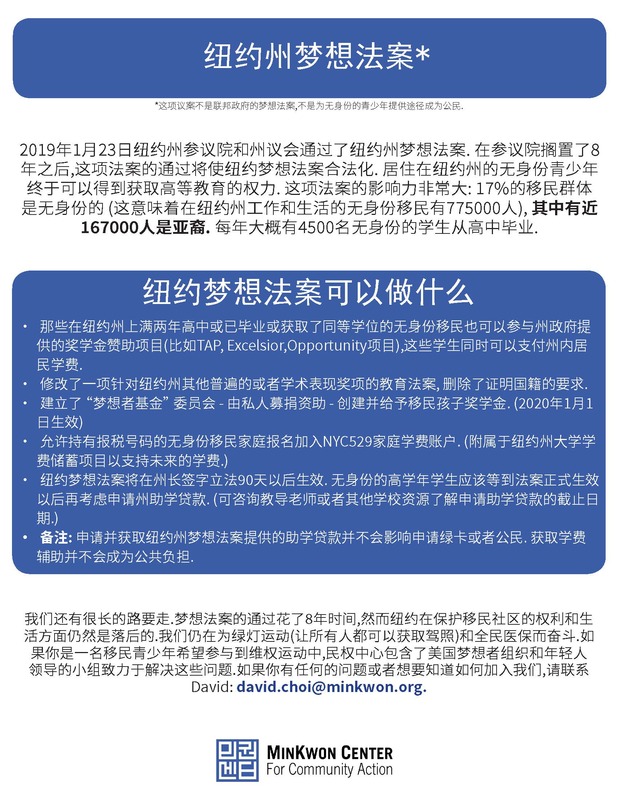 If you have any questions, or would like more information on how to get involved, please contact David: david.choi@minkwon.org!